What Are the Benefits of Baobab Dried Fruit Pulp? Baobab is called "The King of Superfruits" by one company that sells it. But is it? 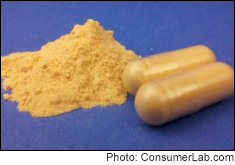 Recently introduced in the U.S., dried powder from baobab fruit pulp is starting to show up in dietary supplements, cereal bars, drink powders and other products. Baobab has strong antioxidant properties in the laboratory. It also contains sugar and certain vitamins and minerals. Most of all it contains fiber -- a lot of it. Before you try baobab fruit pulp products, read our report. The nutrients baobab provides and the serving size needed to significantly contribute to your daily nutritional requirements. How types of baobab on the market vary. Potential side effects of baobab fruit pulp. Standards for judging the quality of baobab products have yet to be established, so our testing of products must wait until the science catches up and the market matures. In the meantime, get educated with this report.